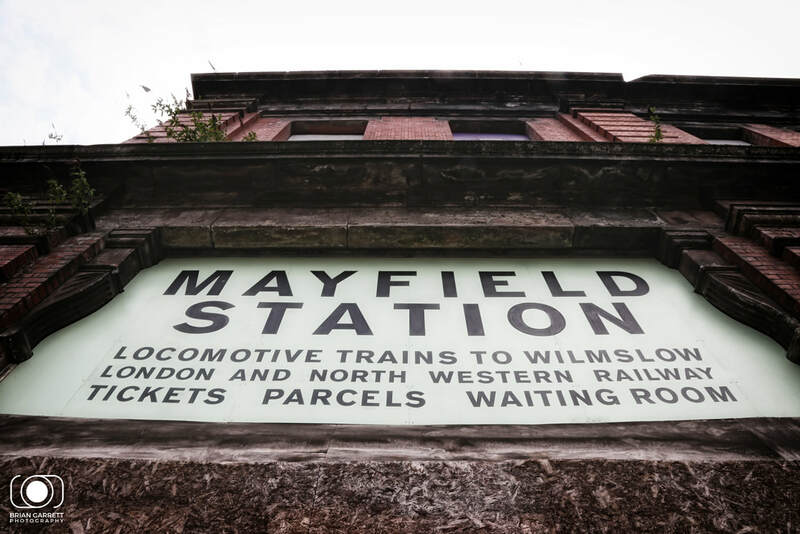 Manchester Mayfield is a former railway station in Manchester, England, located on the south side of Fairfield Street next to Manchester Piccadilly Station (At the time named Manchester London Road). 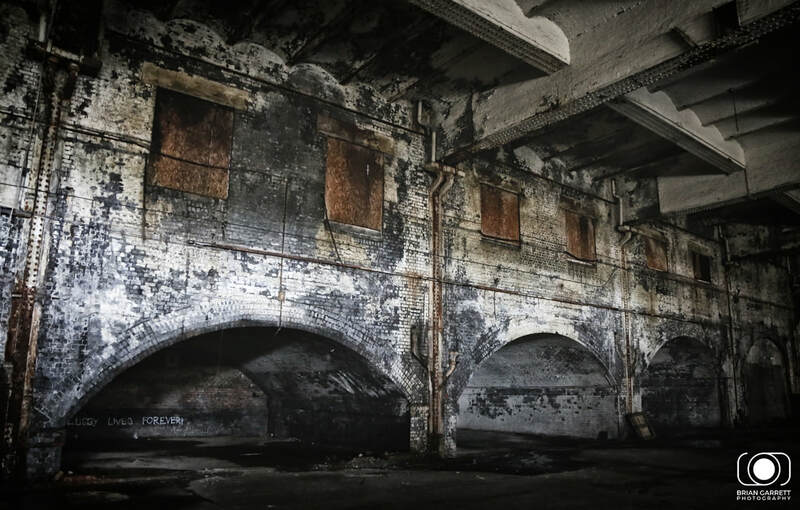 It opened in 1910 and was used by relief trains on suburban services to the south of Manchester. 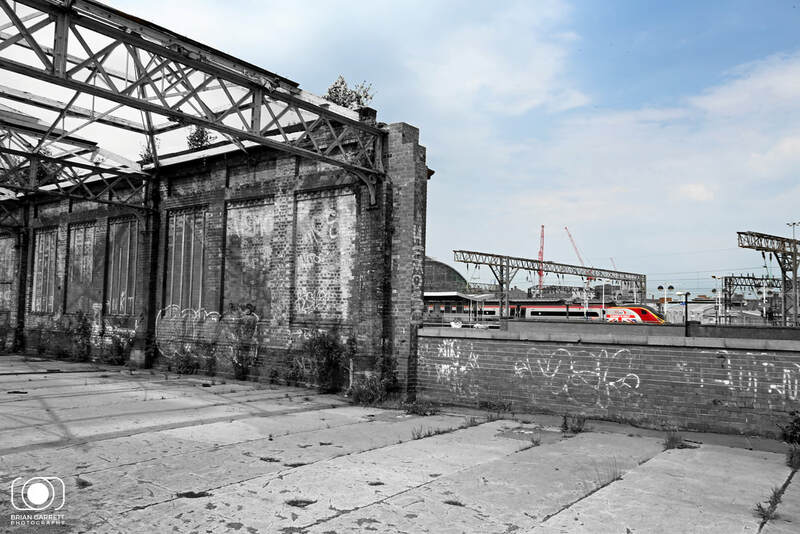 The station came into its own during electrification in the 1950’s but by August 1960 it was closed by British Rail. 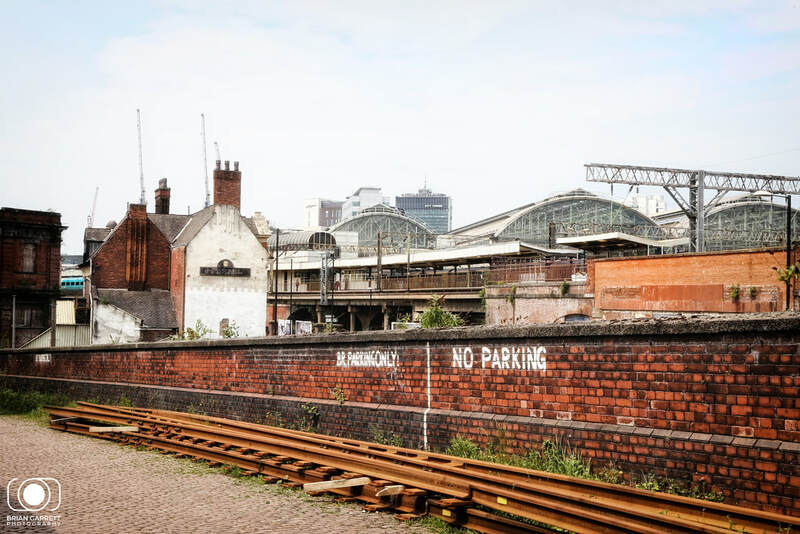 The station did find a new life as a parcels depot which saw the station reopened in the 1970s. 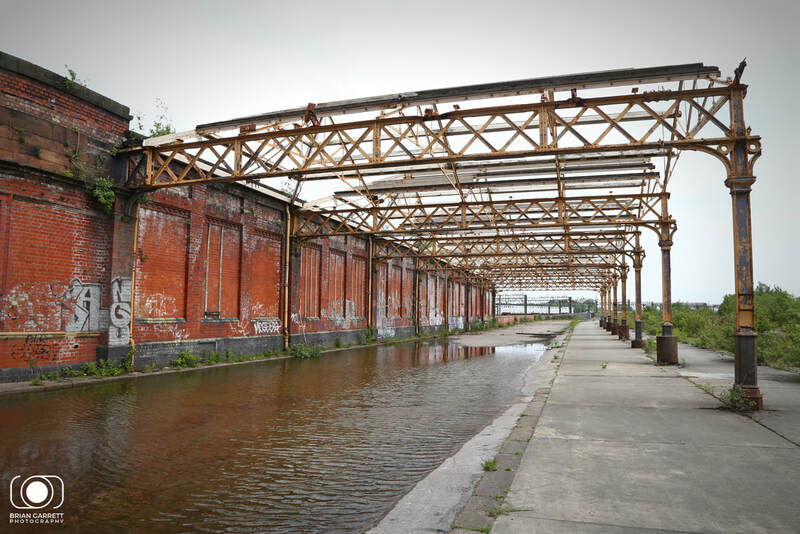 The Royal Mail invested in the location and built a sorting office on the opposite site of the main line which was connected via a conveyor bridge. 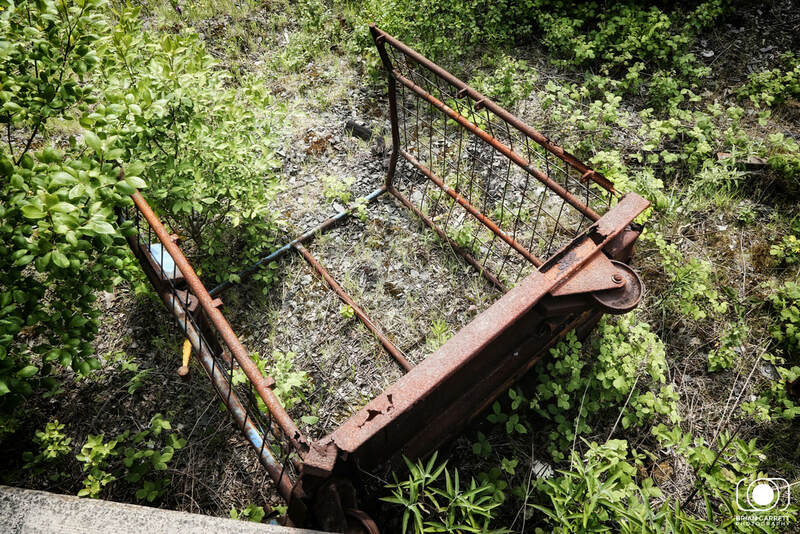 This operation lasted until 1986 when the decision was taken to abandon rail transport in favour of road. 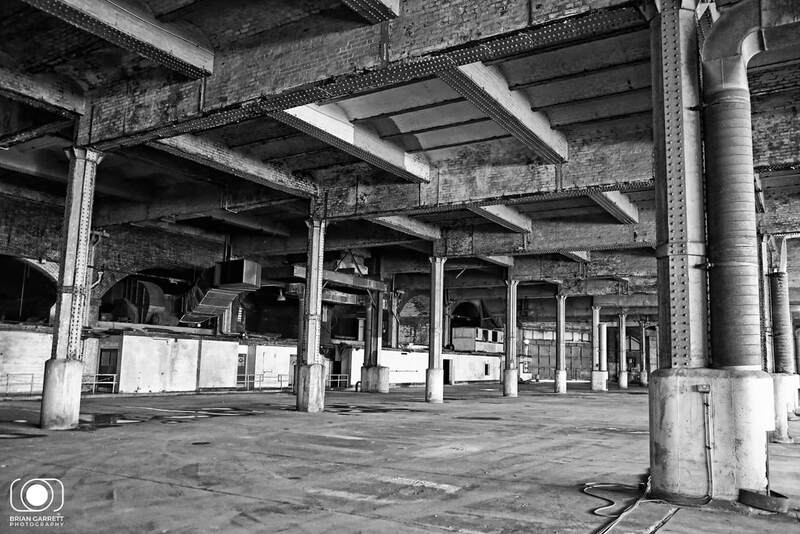 The station has been left abandoned ever since, although the under croft area has been used a unique event space which has included a party/ music venue and go-karting. 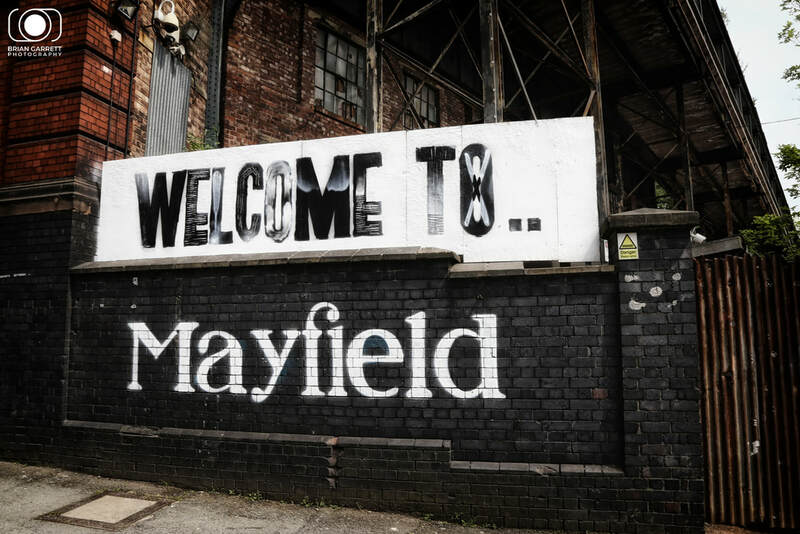 Mayfield is now at the centre of a brand new £850m redevelopment by developers U+I. 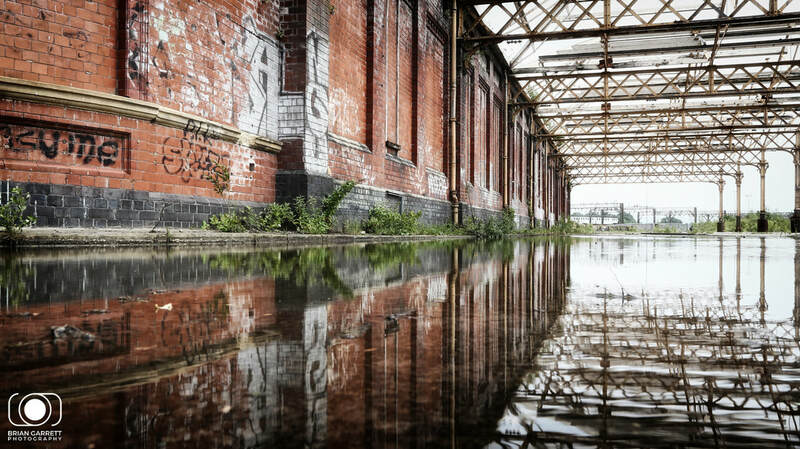 This huge cash injection is going to regenerate the former station and surrounding area with new offices, housing including a green parkland, and the uncovering of a river which flows through the current industrial site. 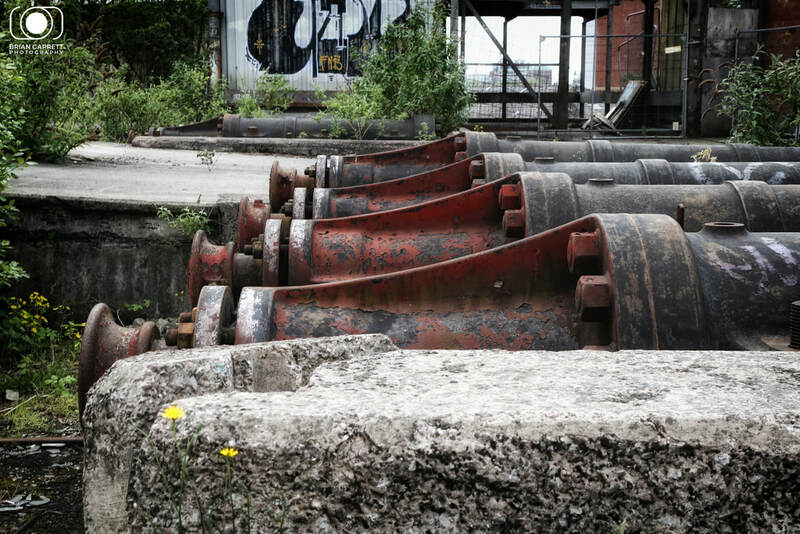 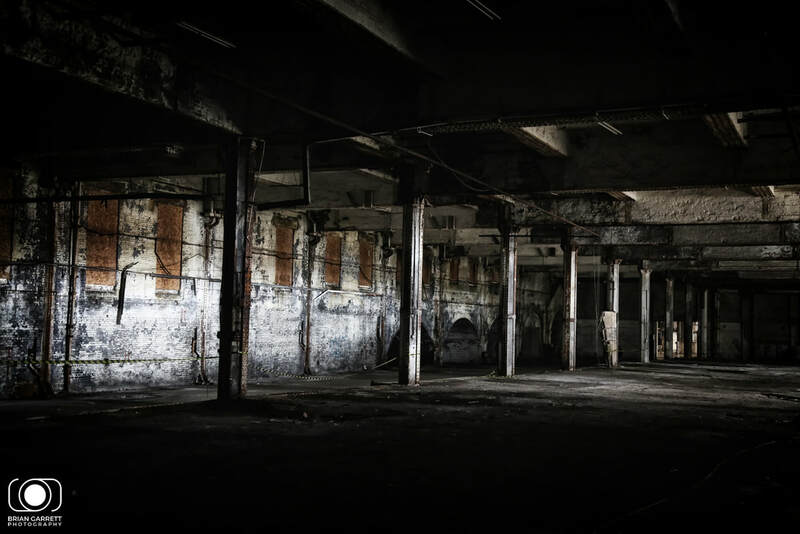 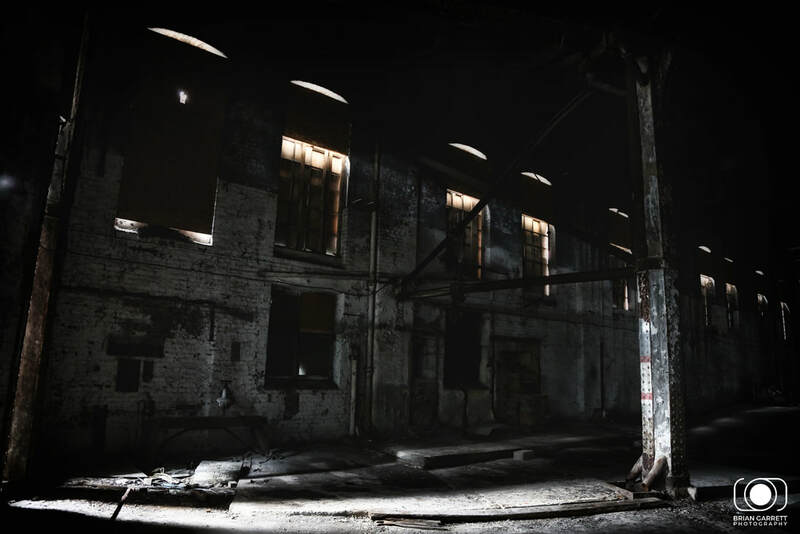 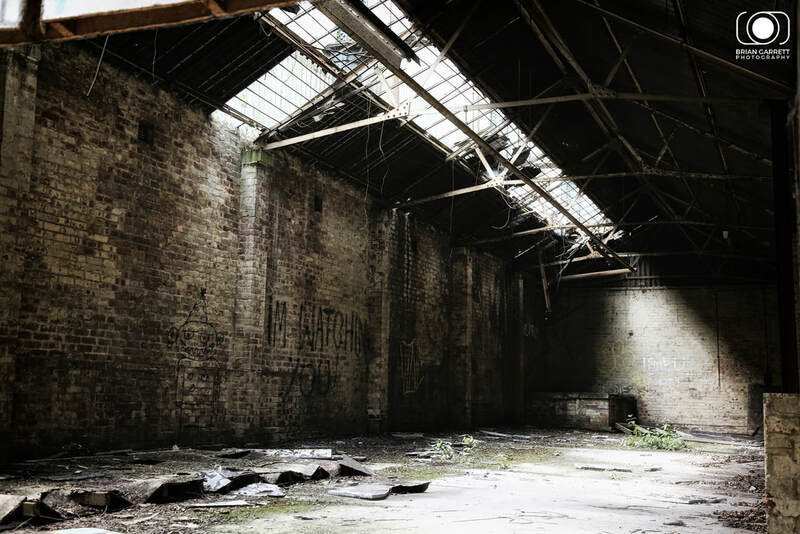 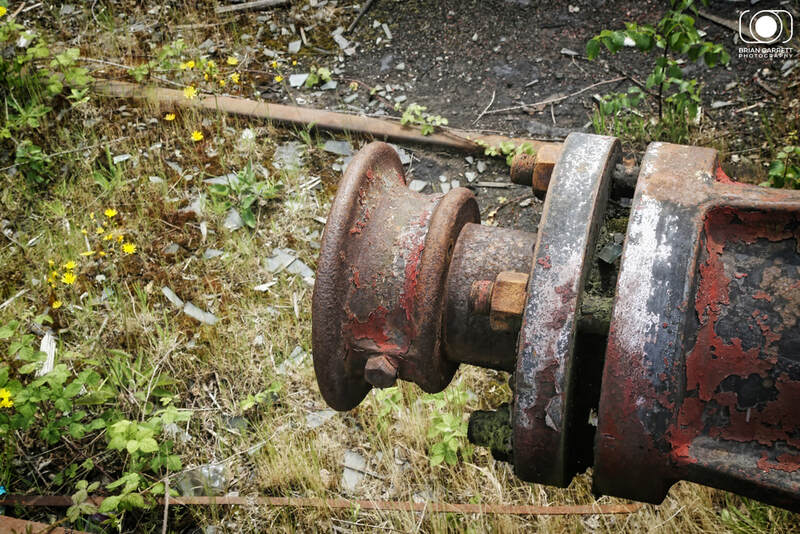 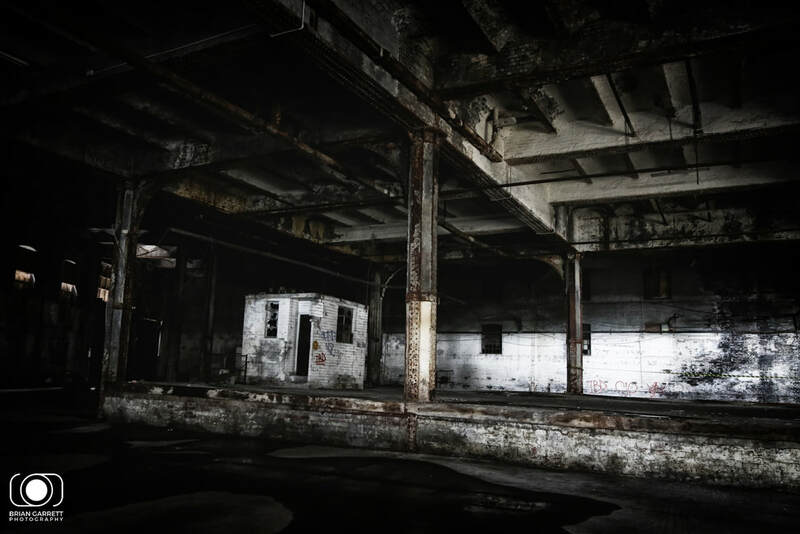 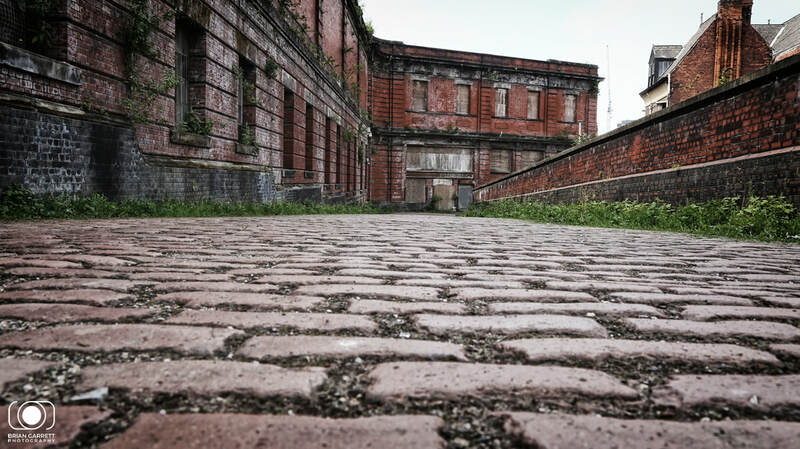 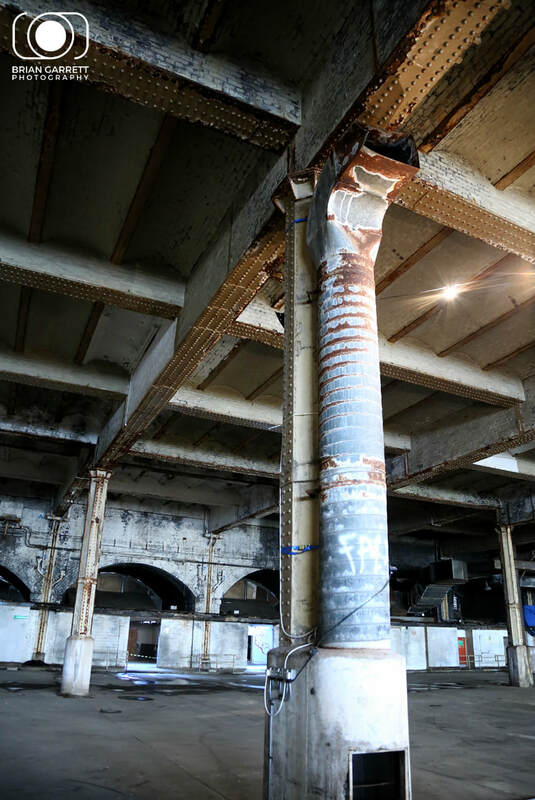 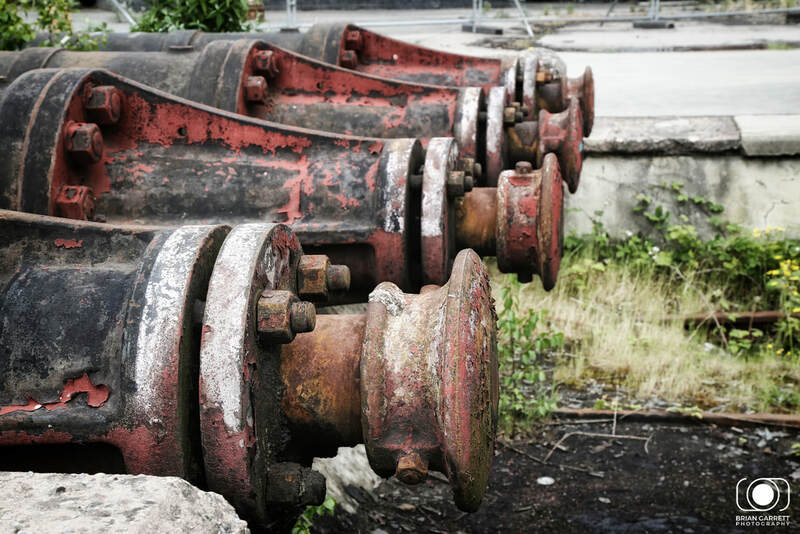 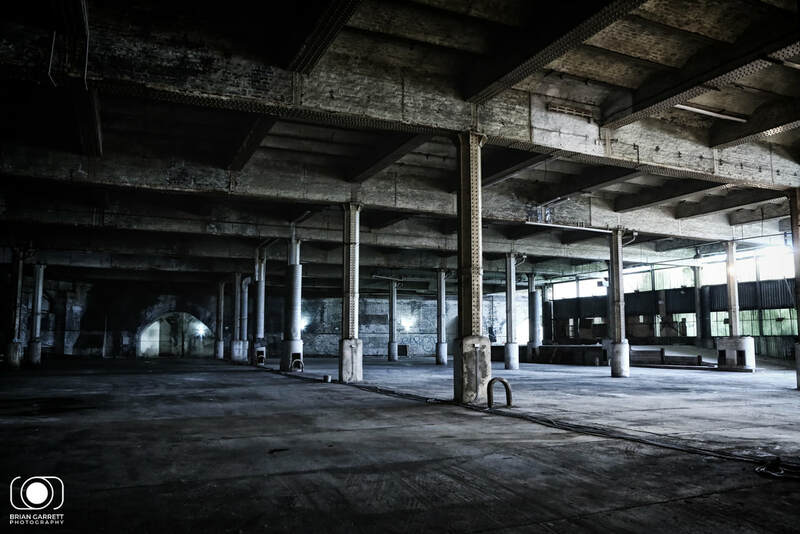 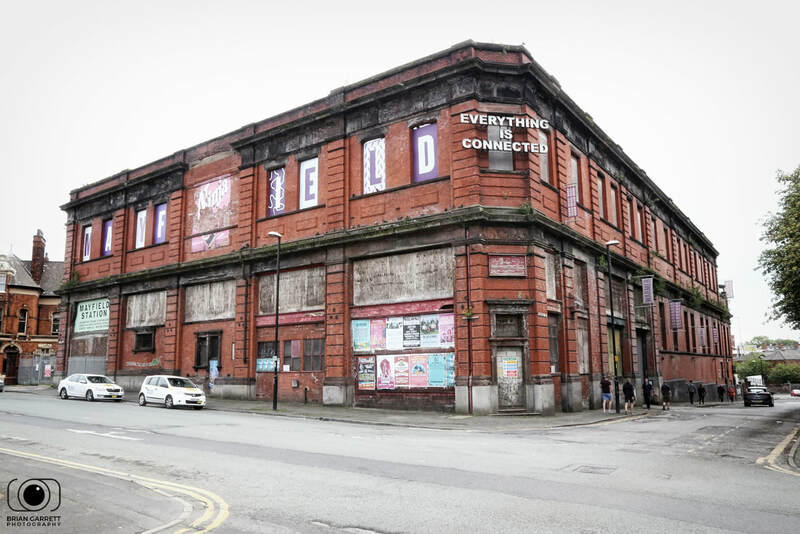 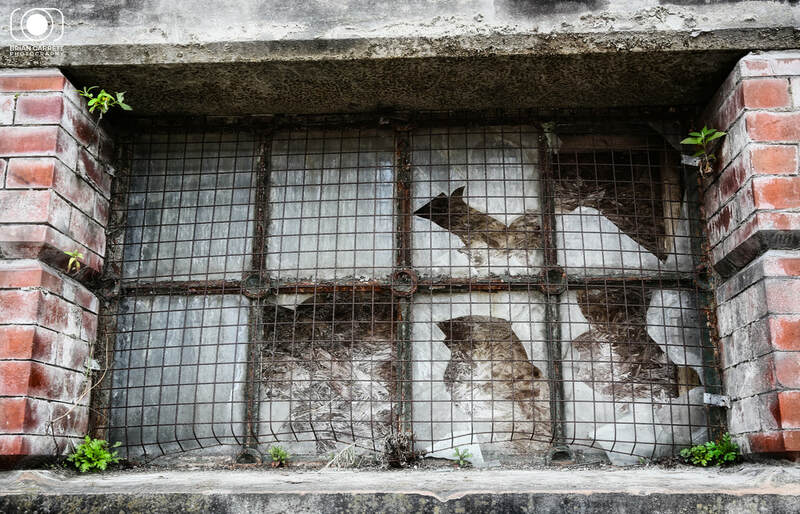 I attended a tour with well known Mancunian Tour Guide, Jonathan Schofield which walked attendees through the site allowing them to see the current derelict state of the former station and buildings, and to learn about the history and unique character of this special site. 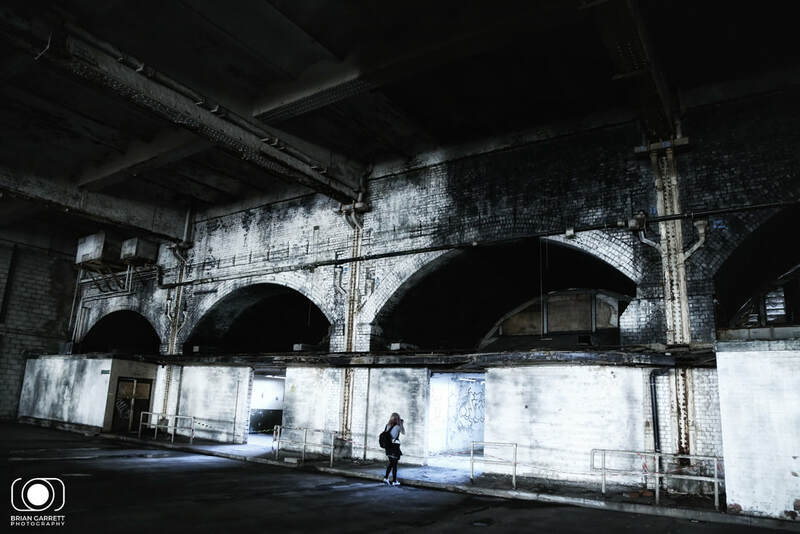 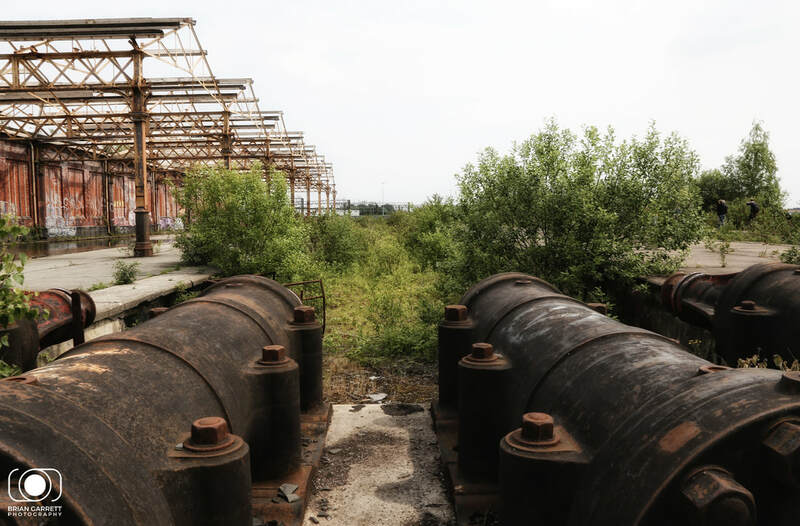 U&I had teamed up with Jonathan to allow the public to see the site in its current state before the 15/ 20 year development starts later in 2018. 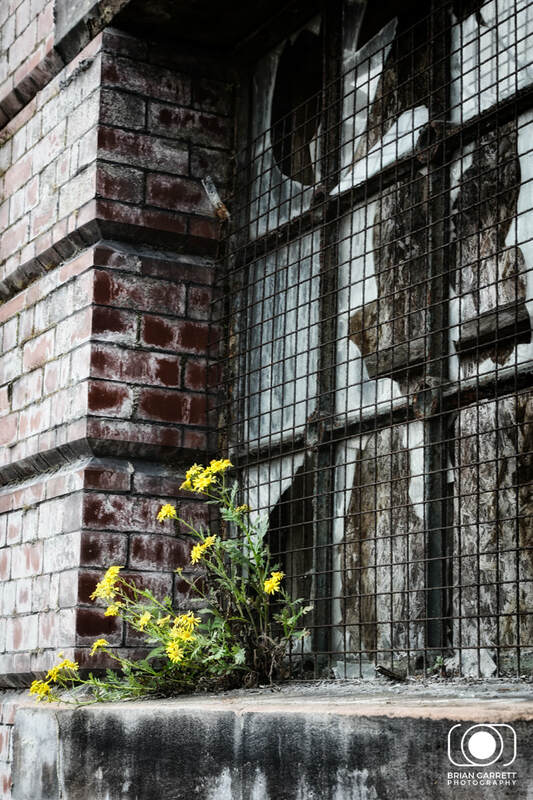 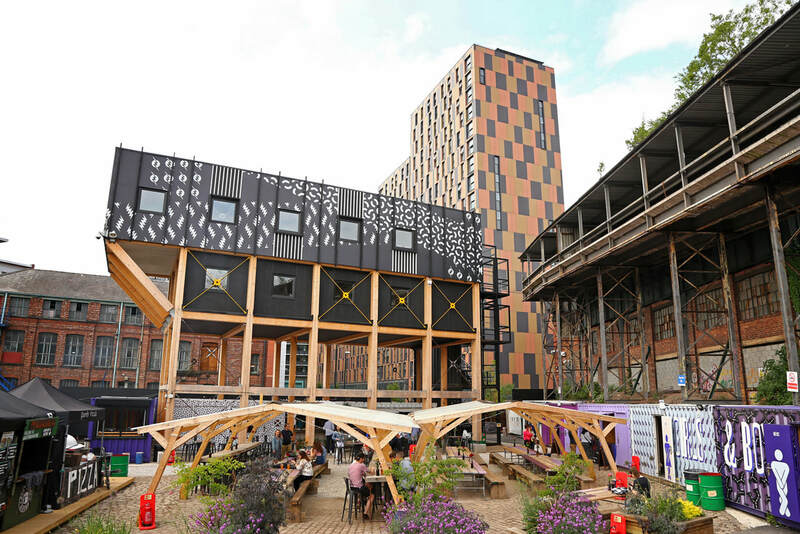 The rear courtyard of the site is already part of a thriving street food scene known as Grub Manchester, this amazing vibrant scene is to be central to the heart of the new development to regenerate another corner of Manchester. 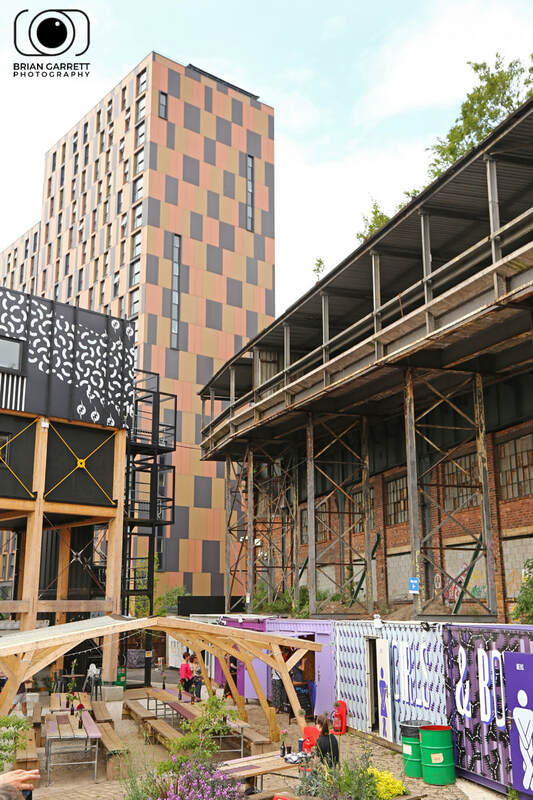 This Streetfood Space is located in the rear courtyard and will be central to the redevelopment of the area. 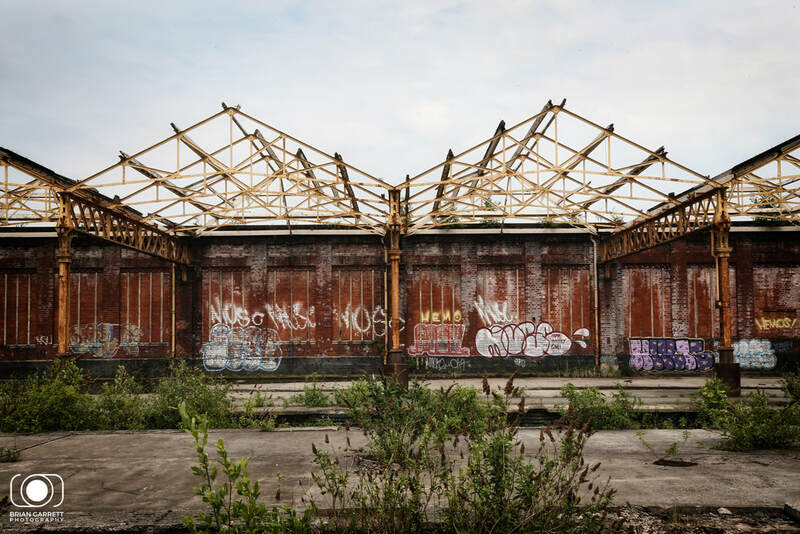 The timber structure will remain. 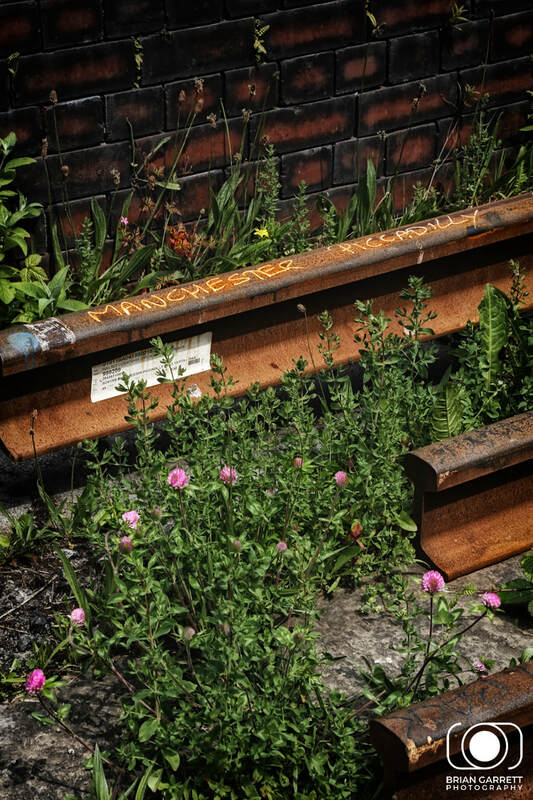 The former steel ramp structure was erected in the 1970's by the Royal Mail to allow ramped access from the station to the undercroft area for wheeled mail trollies. 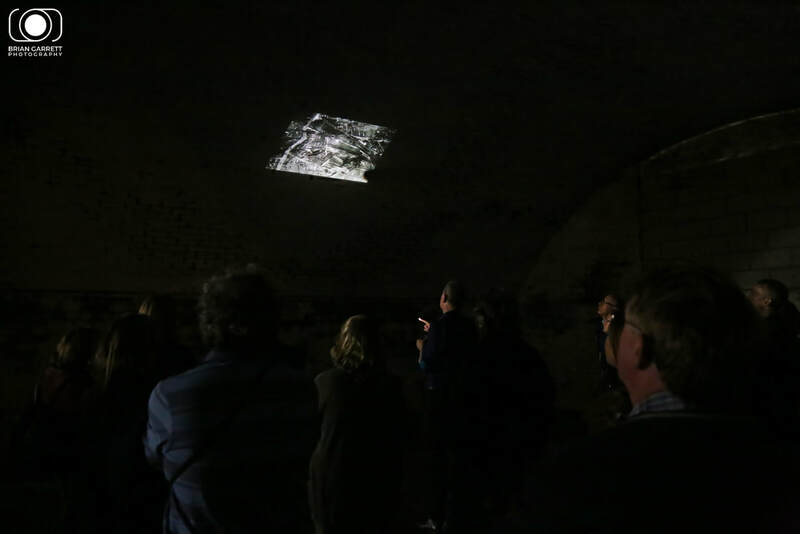 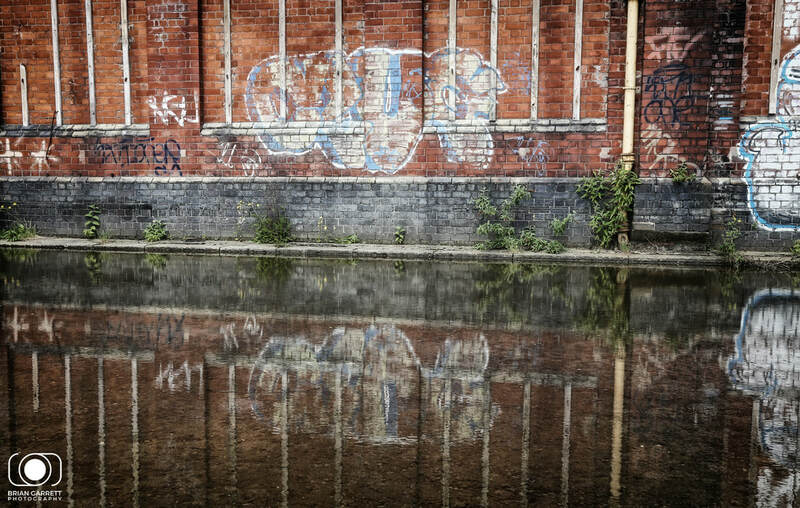 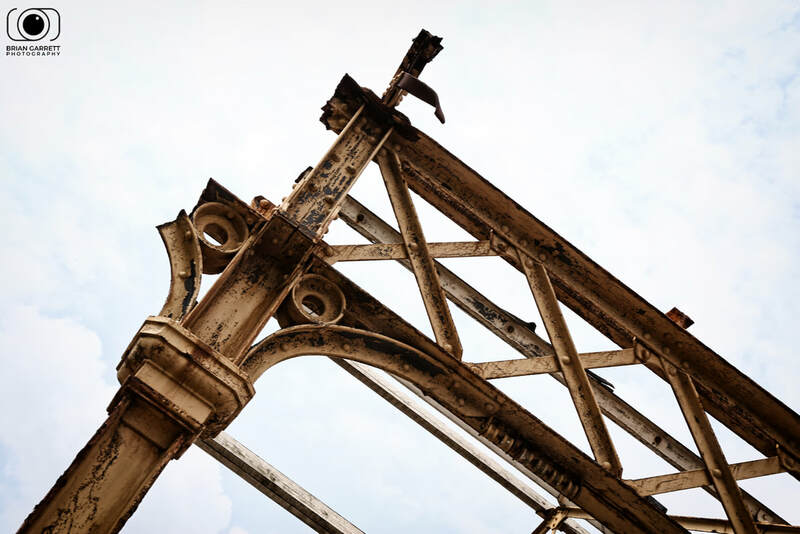 A small slideshow given by Johnathan Schofield using one of the disused railway arches.